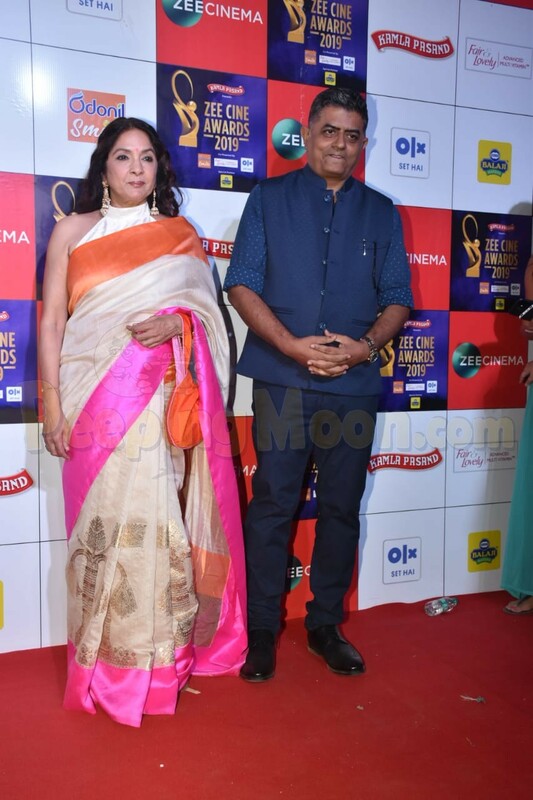 Badhaai Ho stars veteran actors Neena Gupta and Gajraj Rao were clicked at Zee Cine Awards 2019 tonight. 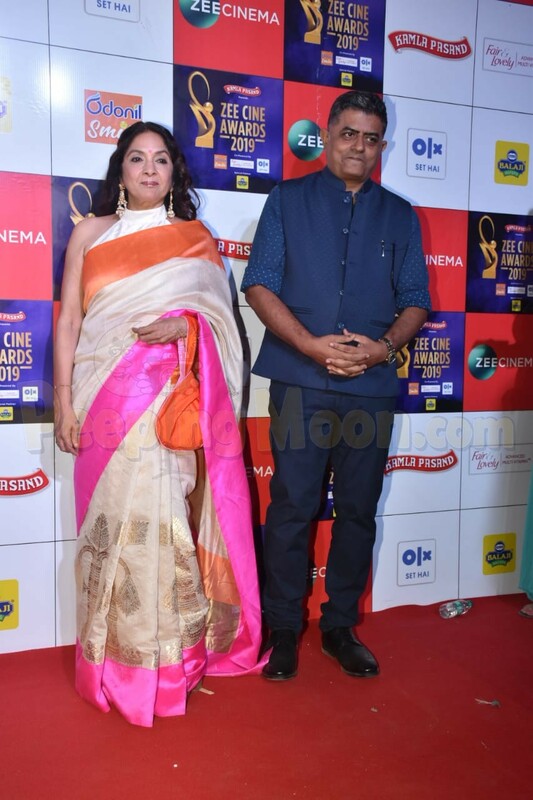 They looked great and could have given the younger generation actors a run for their money. 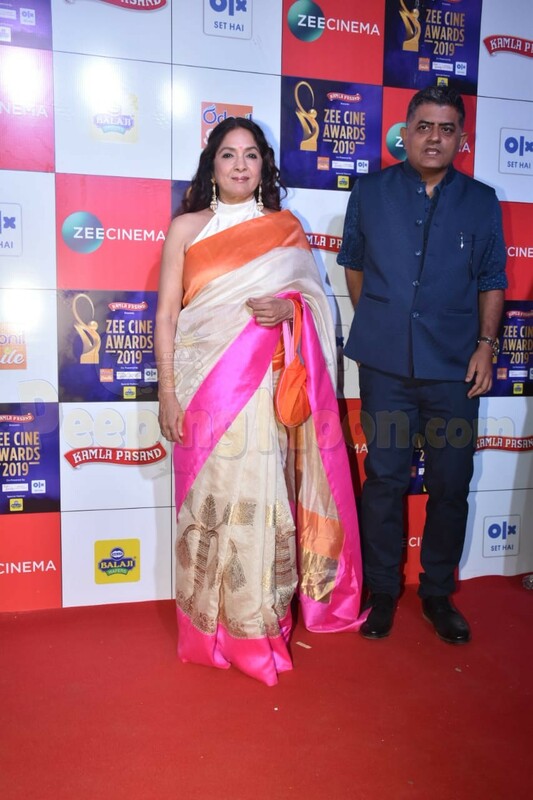 Mrunal Thakur who is all set to debut in Bollywood opposite Hrithik Roshan in Super 30 also attended the event wearing a white gown. 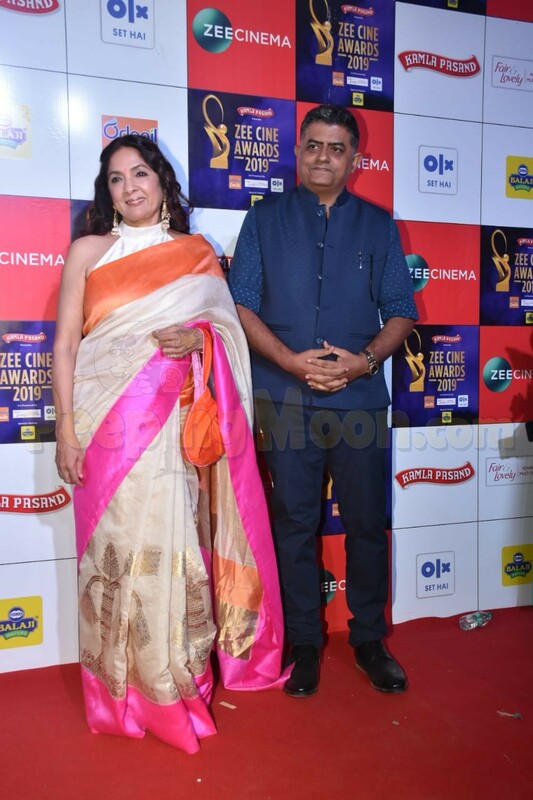 Malvika Mohanan looked pretty in a golden thigh-high slit gown.